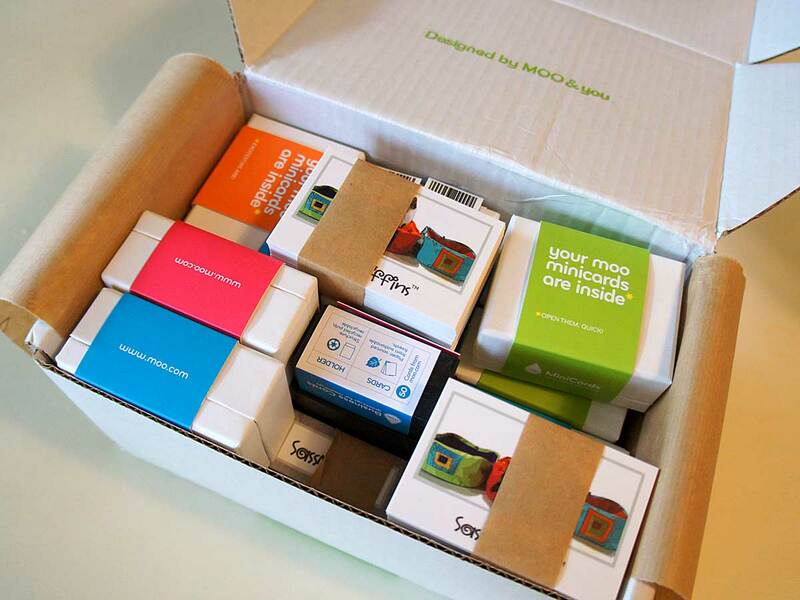 Moo Ahh – a new descriptive term for what you say when opening a package from Moo, Inc. This is just the most amazing advertising company. As they say in their logo, “We love to print”. Well I’m certainly a believer! I came across this company quite by accident, in an internet search for an online company that could print some new tags for my products. This is something I have been thinking about doing for quite some time. And within just days after finding this company online, I saw a notice in an Etsy Success newsletter that they were offering a 30% off sale on any and all products ordered by Sunday, September 8th via the Etsy link provided. So I spent the better part of that weekend working in Photoshop to format my photos in the correct size and resolution for printing, and placed my order. Moo has excellent online instructions for submission of your order. The best part is that they can even pull your photos directly from your Etsy site, although I preferred to rework mine so that they were saved in a higher resolution for print. The one piece of advice I have here is to allow Moo’s system to “enhance” your photos. It provides better contrast and brighter colors for any photos you are using. This is just the neatest company. Not only are they are able to print in full color on both sides of the card, but they have a technology called Printfinity that gives the option to print a different image or design on every business card, mini card, sticker, etc. Truly amazing! Just think about that for a minute – you can showcase your entire portfolio of products on your cards. Explore Moo’s “inspiration” tab on their website to get loads of great ideas and a feel for what your order will look like. Not only are my new cards beautiful, but they arrived within one week, and were wonderfully packaged. Opening the package was like opening a lovely gift, with each of my sets of new mini cards and business cards stored in the prettiest little boxes with colorful wraps. It was like opening a rainbow! I am so excited to be able to offer these new tags and business cards when shipping my products. They will definitely boost the professional appearance of everything I create. If you have ANY need for superior advertising, I would definitely check this company out! They received an all paws up in this pet household!! This entry was posted in Business, Etsy and tagged advertising, Business, business cards, Etsy, mini cards, Moo Inc., printfinity, stickers. Bookmark the permalink. I have heard great things about Moo but had never seen such lovely examples of their work. Thanks for the helpful review. Thank you! Moo’s website has some beautiful examples of all types of cards. Oh I can’t wait to see them Sugar! They are brilliant in color, but have a lovely soft matte finish. You can also choose a shiny finish, but the matte finish is spectacular. I showed them to some other people, and all commented on the nice “feel” and “finish” to these cards. 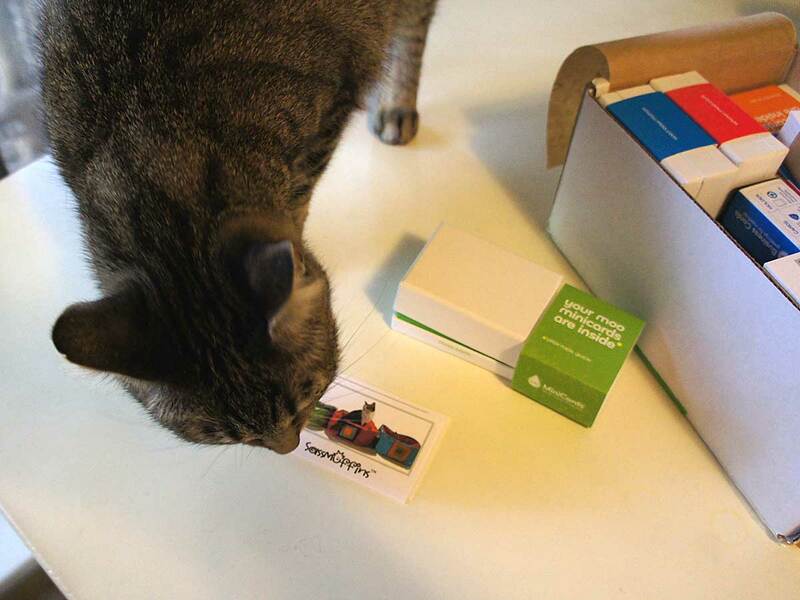 We never heard of Moo cards. Have to check them out. Thanks for the info. You are welcome. It is always nice to have such a great experience working with a company. With this one order Moo became my go-to source for my business advertising. I couldn’t be happier! They came out beautiful! We are going to check out the website, thanks for sharing!!! Love your Etsy shop!!! I am very happy with them…was ecstatic really! Glad you enjoyed my Etsy shop. How cool! The tags look really nice. I’ve never heard of them before. Will have to check it out. They have a great website. Enjoy! 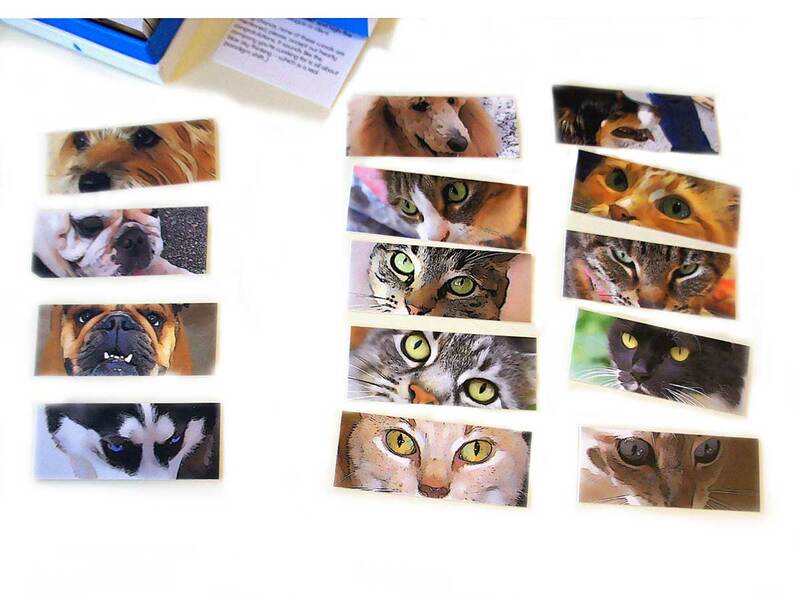 A wonderful way to put make your business cards pretty! Yes, up to 50 different images on business cards, and 100 different images on mini cards. I need more cat and dog photos!